A GPS Music Day was added to the GPS calendar in 2000. The addition of music is a celebration of the wide-ranging musical talent of GPS students and staff including Choir, Concert Band and String or Symphony Orchestra ensembles. The Junior Music Day of Excellence that had been held between GPS and some non-GPS schools for over 15 years became part of the GPS program in 2014 and has subsequently been a much-celebrated event on the GPS calendar. “GPS Music is a fantastic experience and opportunity for students of all GPS schools. It is one of the only events in which like-minded students can collaborate rather than compete, creating an environment where there are no losers, only winners. This event has shown me how much can be achieved in such a short period, with just one day of rehearsal culminating in a unified performance and an endless stream of praise from listeners is a testament to the students and coordinators”. 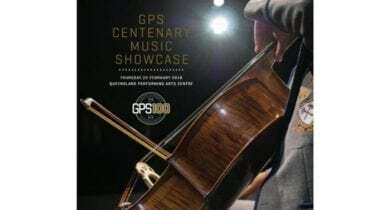 The GPS Centenary Music Showcase Official Program contains lists of ensembles, Conductors profiles, archive images and inspiring quotes from GPS musicians past and present.